Welcome to February – the month of love! 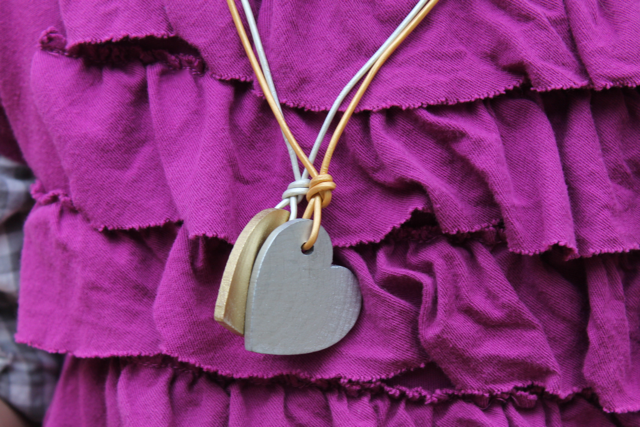 We’ve worked up a super fun DIY for a festive heart necklace. Make one for yourself and then make them for all the people that you love, little people included! 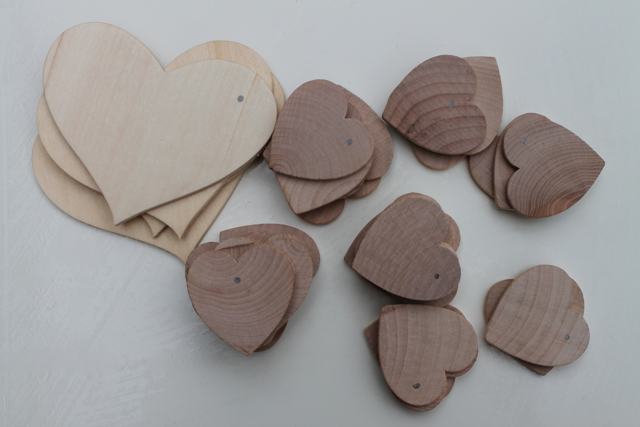 Unfinished wood hearts. Your local craft supply store should have them in several sizes and styles. 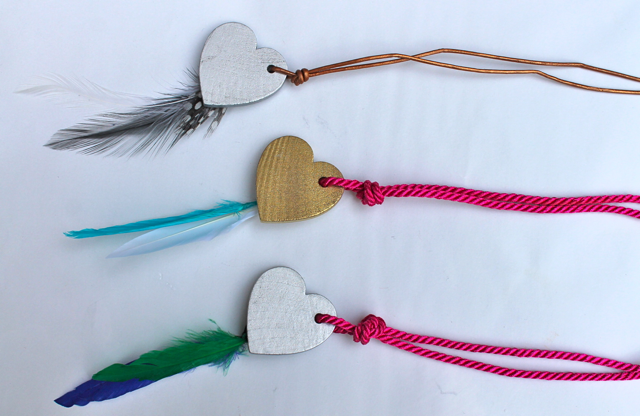 Ribbon or cording for stringing necklace. 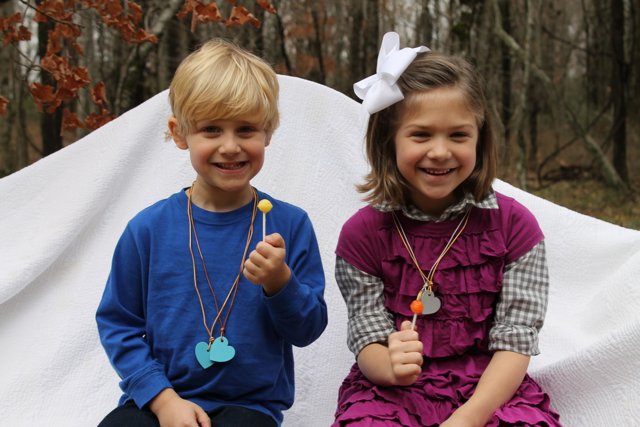 We used about 3′ for each necklace. 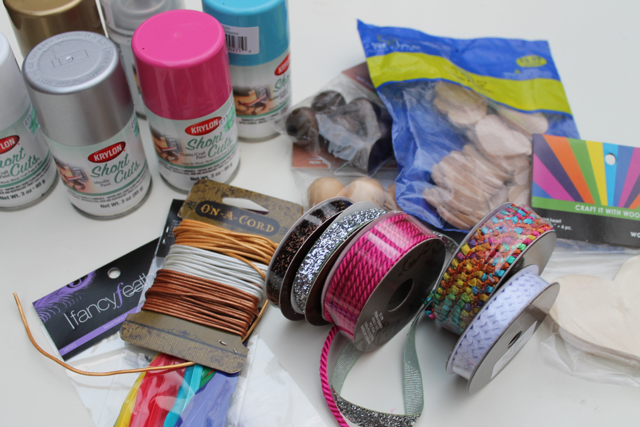 Plus more ribbon for dressing up your necklace. 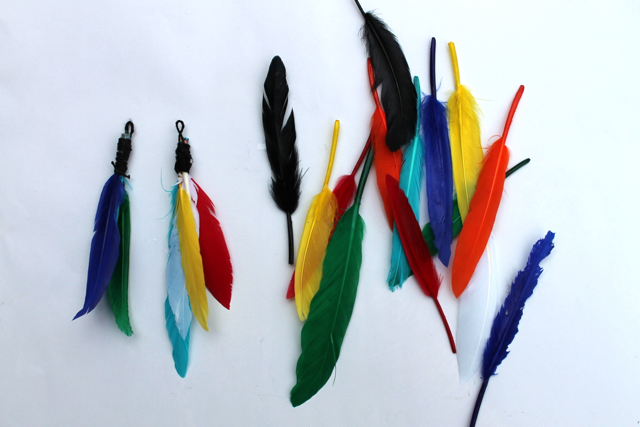 Feathers. You can buy them loose or ready to string. Start by marking drill holes with a pencil on all hearts. 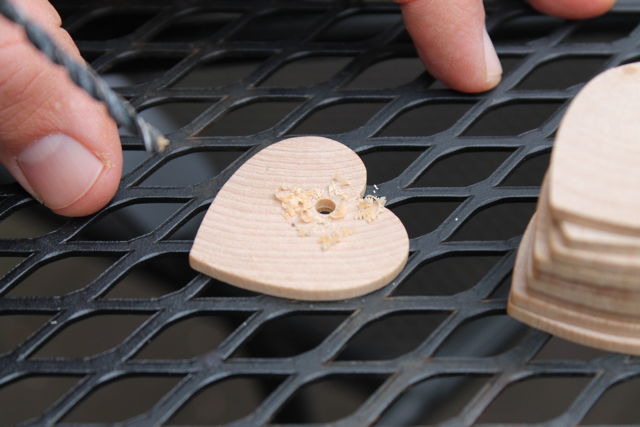 Drill through each heart, making sure to choose a drill bit that will make a hole large enough for your cording. 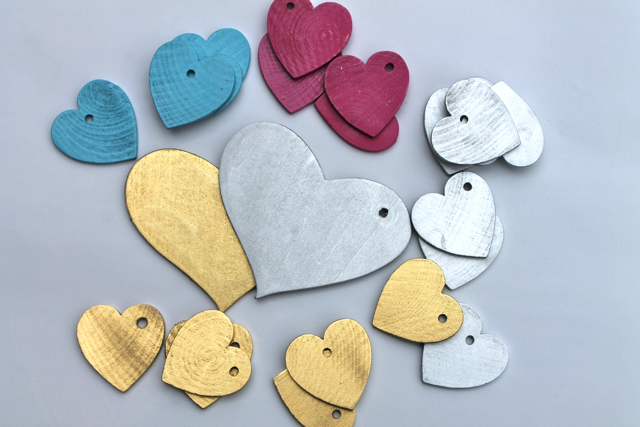 Paint the hearts on both sides and allow to dry. 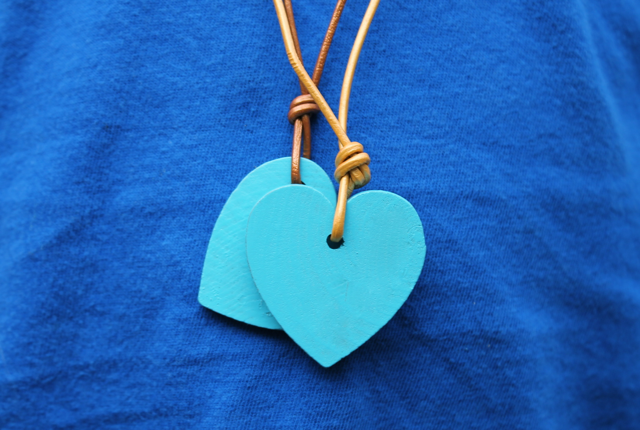 Our hearts did not need sanding, but it’s possible you may need to buff off a few rough spots before painting. Now the fun part! The sky is the limit… play around until you have the arrangement just as you want it. Cut the cording to desired necklace length (make sure it’s long enough to slip over your head), plus several extra inches for tying a few knots. 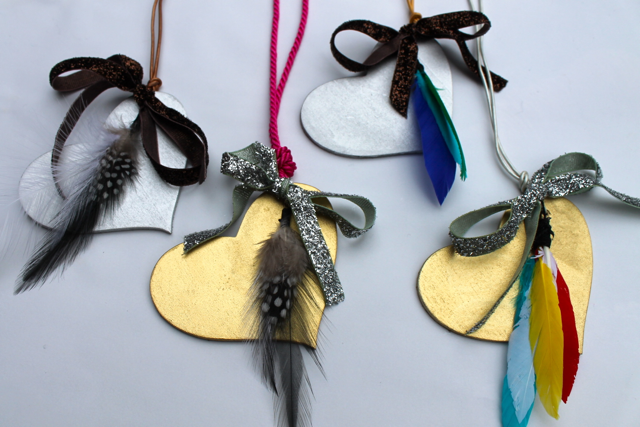 Then thread on the heart, feathers and tie on the decorative ribbon. 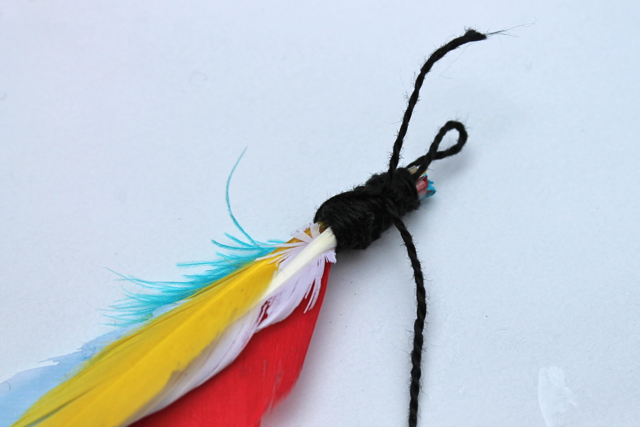 Next, making sure this heart/feather/ribbon grouping is centered on your cording length, tie a simple knot in the cording just above the group. Tie the cording ends together and you are done! Stumped how to use loose feathers? 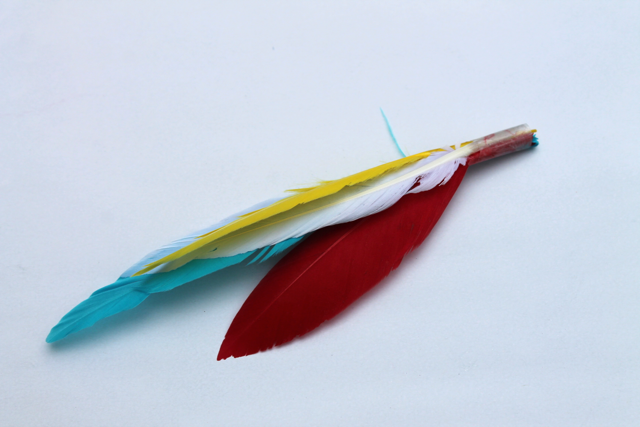 Gather together your combination of feathers. 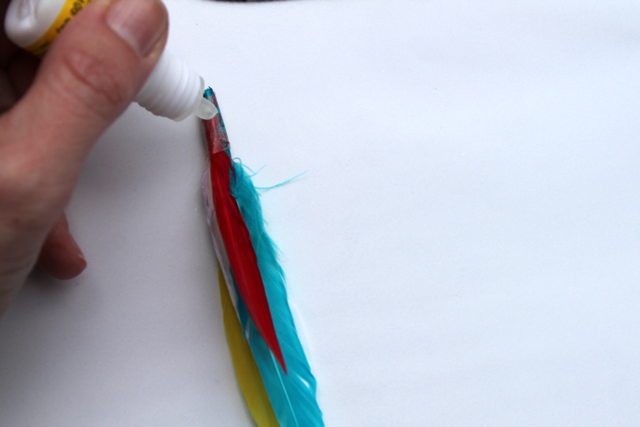 Cut a piece of tape about 1″ long and tightly wrap around the shaft ends of the feathers. On several of my groupings, I needed to trim the tape width into a narrower strip. Apply a clear drying, super glue all over the taped area. Cut a piece of embroidery thread about 12″ long. 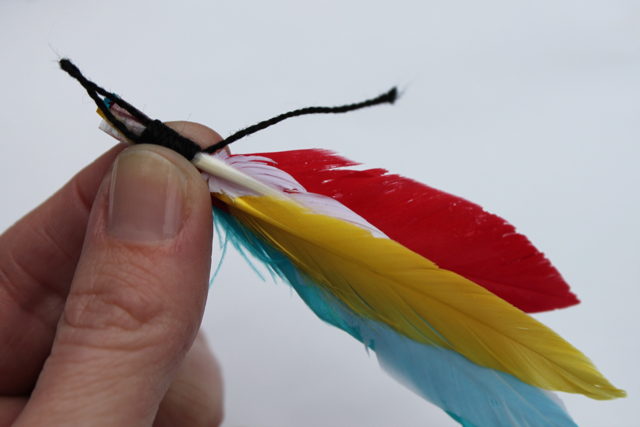 Keeping about a 2″ tail piece at the bottom of the feather, fold the thread to create a small loop at the top end of the feather grouping. This loop will thread through your necklace cording. Then begin wrapping the thread around the shaft, wrapping up and then back down the taped and gluey area. Make sure to leave the small loop above the wrapping free. Ending at the bottom of the shaft, knot the thread ends together several times and secure by dotting the knot and the threaded area all over with glue. Trim thread ends and allow glue to dry. Wrap them up and wear them out! 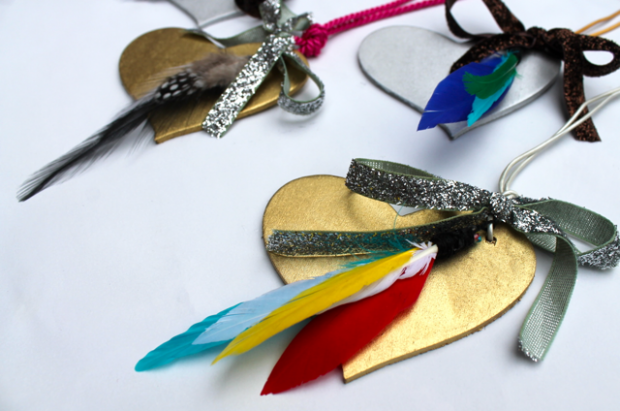 Link up and let me know what festive baubles you come up with!